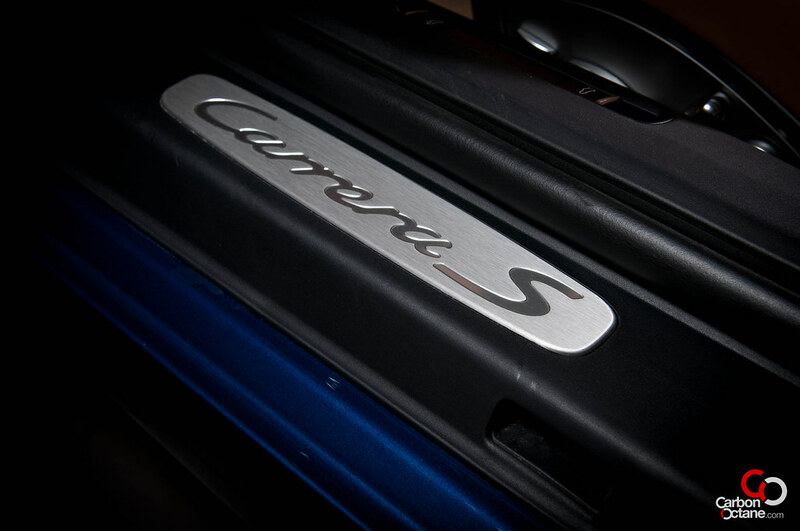 The Carrera has been an automotive icon ever since I was able to understand the automotive genre. I remember my dad buying me a match box Carrera in red, this was almost two decades ago and I still have it tucked safely in my time capsule along with my Hardy Boys collection. My image of the Carrera was solely based on Test Drive games, magazines and Hollywood movies and posters which filled my bedrooms throughout my adolescence. And now that I was actually going to test out the new Carrera S, it was carrying with it my exaggerated hopes and expectations. The Porsche had to live up to the almost mythical image which was impregnated in my mind, and trust me the expectations were astronomical. My delivery of the Carrera was on a Friday morning, I had not slept a wink the night before, and I was almost an hour early, just couldn’t wait for it. 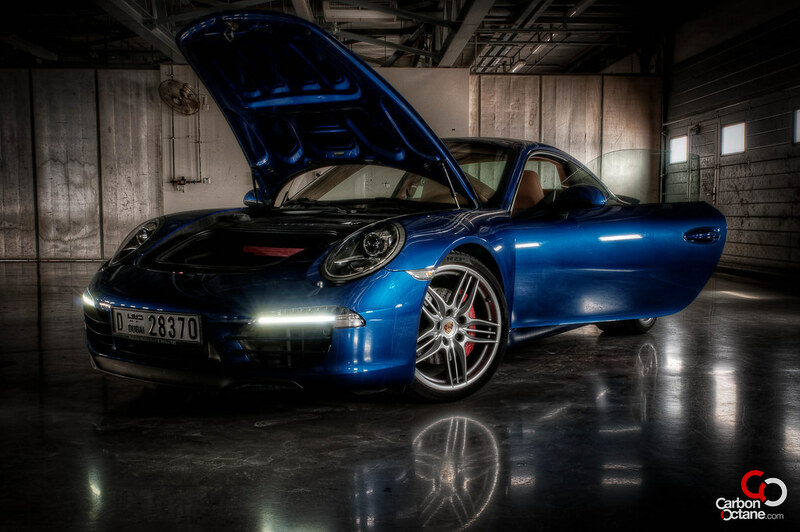 Finally the moment arrived, and I was given the keys to this beautiful Aqua Blue Carrera S. The moment I sat in the car, a cascade of memories just flashed in front of my eyes. The raw buzz of the flat six is exactly what I wanted an engine to sound like, the seating position, the dash layout just felt as if it was custom-made for me. I took it out and hit the interchange near my house, the one that I take day in and day out, with my daily beater and cars which I have tested out in the past. Wow, I went through it faster than before and that too on my first try. I just burst out laughing as I slingshot out of the apex to merge into the Sh Zayed Hwy. The Carrera S is exactly what I had visioned it to be and I was in automotive heaven. The ‘S’ pumps out 400hp, that’s an increase of 15hp from last years model. 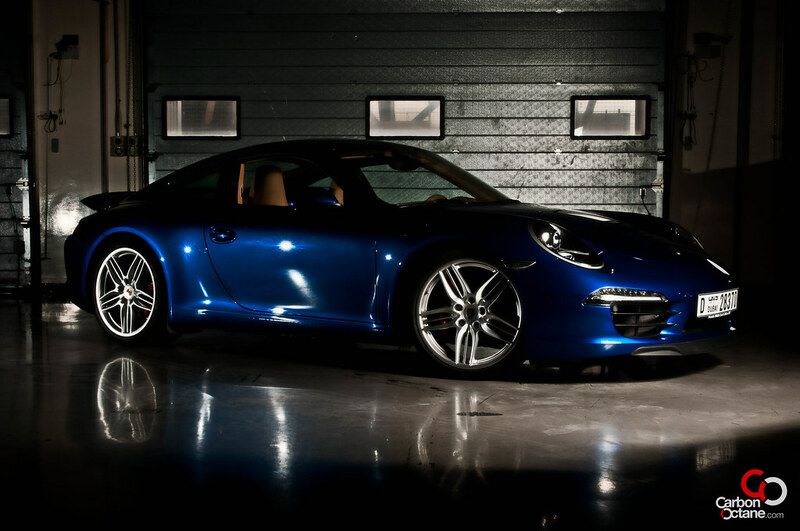 The beauty of Porsche is that, while 400hp may not sound enough in todays 500-600hp other cars produce in its price range, its ability in using all of that power without overwhelming the chassis is unparalleled. There is no use of having 500hp or more when the vehicle is not able to control it. Running wide out of a turn, excessive wheel spin on launch which just vaporizes all that power into smoke. 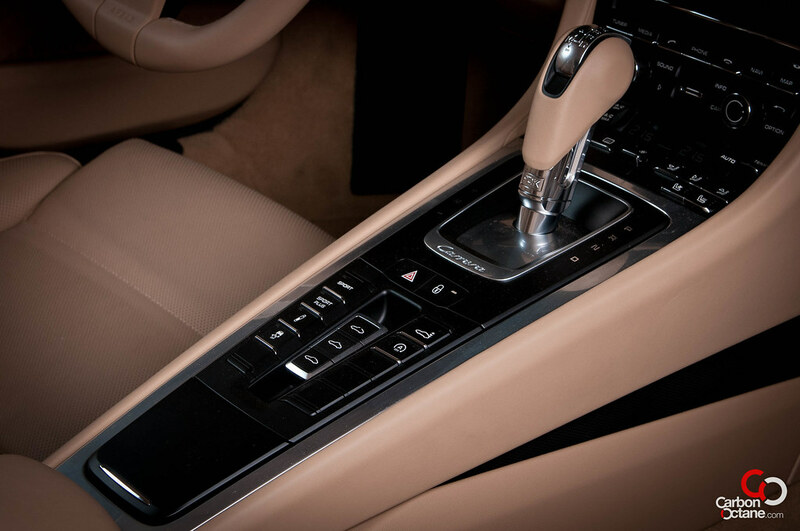 The Porsche’s chassis is sorted and tames all that power, leaving the driver in complete control. Just point the car to any bend and it takes it as if it’s on rails. How it manages to find all that grip from a rear wheel drive system is beyond me, I cannot even imagine what the AWD Carrera 4S version could do. We now have different maps to play with, depending on our mood and how aggressive we want the gear to be. There is a Sport and a Sport Plus button as well as how hard you want the suspension to be, there are as always different stiffness settings. I just have to put this across that the hardest setting is quite comfortable in itself, it does not feel like being dragged head first along a cobbled path. 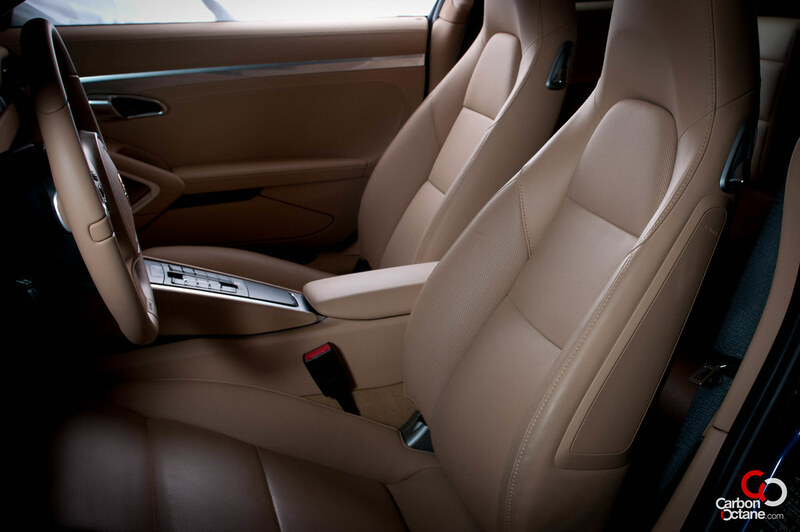 The 2012 Carrera S has received a much needed interior decor, it’s a bit Panamera’esque, far from being spartan of the models before. Our test vehicle came with PDK and an upgraded sound system “Burmester” and the staple of any car these days, the iPod dock. Burmester is an upgraded option to the Bose system and holds all the frequencies and gives a tight bass punch. But if its sound you want then you just need to do these simple steps. Switch off the audio system. Press the Sport Plus mode on, and floor it. The mechanical orchestra is a soul refresher. 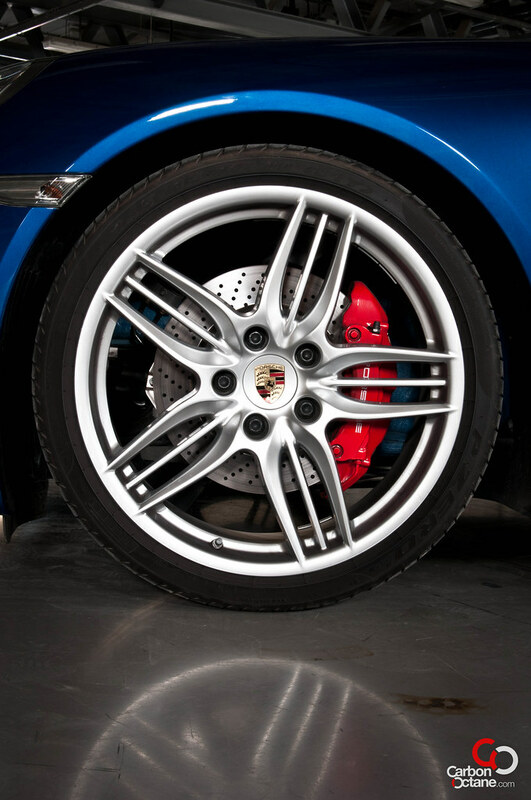 Porsche has always maintained a balance in giving the driver the ability to drive it hard or to cruise around just as easily. Driving on beach road was fun, there was hiccup from the car as if it was choking from the last of air getting into its intakes. It is at home ripping at the track as it is just going for a stroll at the local favorite places like the JBR walk or Beach road. The Carrera is by far the best car I have driven till date, it’s pricey as well. 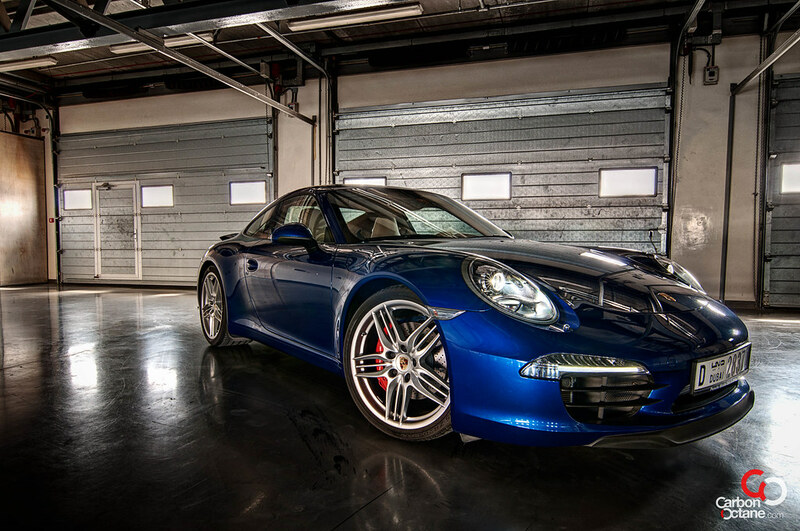 Our test car was equipped at AED 485,000. It’s bang for the buck really, pound for pound every hard earned dirham is well compensated and justified.